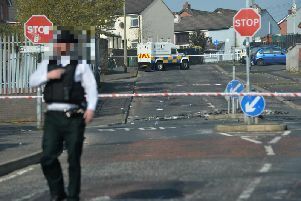 A full report into the shooting of a man as he walked through an Army checkpoint in Northern Ireland will not be released, the Irish government has confirmed on the 30th anniversary of his death. Disclosing the entire content of the Crowley inquiry into the killing of Aidan McAnespie even three decades on would be a breach of trust with local community members who gave information, Irish Justice Minister Charlie Flanagan said. Mr McAnespie was killed in Aughnacloy, Co Tyrone, in February 1988. The 23-year-old had been on his way to a local Gaelic Athletic Association club when he was shot by a Grenadier Guardsman. A Government-approved summary of the report, headed by then Deputy Garda Commissioner Eugene Crowley, was given to the McAnespie family in 2002. But the full report cannot be released because those who co-operated with the 1988 inquiry were guaranteed confidentiality, Mr Flanagan said. In a statement to the Seanad he said: "Because of fears that many people in the local community expressed to him (Mr Crowley) as to their safety and security, they co-operated only and explicitly on the basis of an assurance of absolute confidentiality and that what they related to Deputy Commissioner Crowley was for the government only. "This report was submitted to the Minister for Justice in April 1988. To release the full content of the Crowley Report even at this stage 30 years later would be a breach of trust of the Irish government to those parties." He acknowledged that his statement would "inevitably be a disappointment to Aidan McAnespie's family who suffer from his tragic loss to this very day". But he added: "The fact is that I must have full regard to the expectations of the many people who contributed in good faith to the Crowley inquiry on the basis of a guarantee of absolute confidentiality and to the persisting obligation in that regard." The soldier who shot Mr McAnespie had claimed his hands were wet and his finger slipped on the trigger of his heavy machine gun. The guardsman was initially charged with manslaughter but the charge was later dropped. The Public Prosecution Service in Northern Ireland announced in 2016 it would review a decision not to prosecute the soldier. A PPS spokeswoman said: "This review has now entered the final stages of consideration and the PPS will be in contact with family representatives in the coming weeks once a definitive time frame for decision is confirmed."